LONDON (ICIS)–The true take off for 3D printing is on the horizon but a lack of machinery capable of production is holding the technology back, according to Evonik’s head of new 3D technologies. Sylvia Monsheimer said that, while the company is happy with the growth it has seen in the 3D printing industry in the last 20 years, there is a lack of machinery capable of production available on the market. 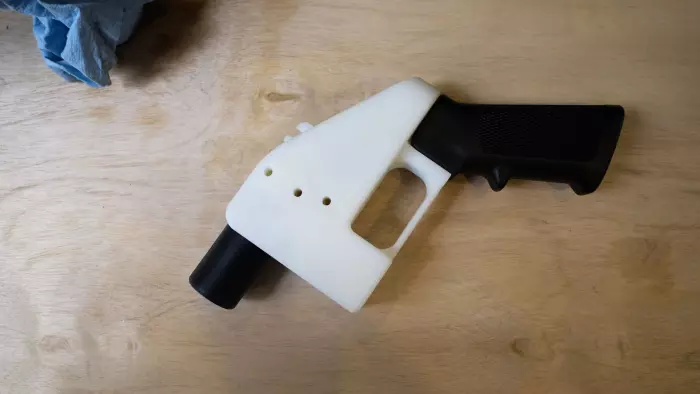 When the first 3D printed gun was fired in 2013, the blueprints were posted online for anyone to access. They were immediately taken down by order of the US government, but not before they had been downloaded nearly 100,000 times. On August 1, plans for printable guns were allowed to be posted online once again. But attorneys-general in eight states, plus the District of Columbia, filed suits in an attempt to ban them. The court battle continues. Additive manufacturing, or 3D printing, is the production of an object using a digital blueprint. The latest 3D printers can fit on a desk and cost less than $1,000. So long as you can find the right design and materials, you can make previously off-limit objects in your own home. MultiMechanics, a developer of multiscale material modeling and simulation software, and Fortify, a Boston-based additive manufacturing company specialized in composite material systems, have announced a strategic partnership to improve the predictability of composite 3D printing. As part of the partnership, Fortify will use MultiMechanics’ flagship product, MultiMech, to predict the structural integrity of printed parts before printing, and to help optimize the design by controlling the fiber orientation throughout the structure. Researchers from RMIT University in Melbourne have been using laser metal-deposition technology to build and repair defence aircraft in a process that’s similar to 3D printing. “It’s basically a very high-tech welding process where we make or rebuild metal parts layer by layer,” said Professor Milan Brandt who is working on the project. What are the 3D Printing technologies for prototyping and production? Architects don’t build without modelling. They create “blueprints,” produce renderings, and build 3D models. But while these planning tools may resemble the actual building in shape, there is no resemblance in size or materials. As a result, except in the case of manufactured or modular buildings, the finished product will be the first time that real building materials have come together in exactly that configuration. That is one of the reason that architecture tends to be conservative in its rate of change. Without real-world testing, big change is risky. Author Supercharg3dPosted on 21st June 2018 25th June 2018 Categories TechnologyTags TechnologyLeave a comment on What are the 3D Printing technologies for prototyping and production? With today’s increase in complexity for engineered products and the need for faster production of these products, manufacturers are having to choose between technologies. This paper will discuss and compare two of the methods used to produce parts, while recognizing that each has its place, and can complement each other in the design and manufacturing workflow. Download this paper to learn about the differences between 3D Printing and CNC Machining and when to choose each technique. From beginning to end, take a look at all the components of 3D printing to ensure you are making the best possible products safely, quickly, and not wasting materials in the process. 3D printing is taking over the industrial world and new printers are always a source of excitement. But, what seems to rarely be a source for that same excitement, is all the components that actually go into completing the job. We’re talking about hazardous material clean-up, recycling old materials, software to get that precise cut, and cost-effective technology, to name a few. A 3D printer has been adapted by a team at the US Department of Energy’s Berkeley Lab to print 3D structures composed entirely of liquids. The modified printer injects threads of water into silicone oil – sculpting tubes made of one liquid within another liquid. The printer could be used to construct liquid electronics that power flexible, stretchable devices, the researchers said. The scientists also foresee chemically tuning the tubes and flowing molecules through them, leading to new ways to separate molecules or precisely deliver nanoscale building blocks to under-construction compounds. Low-cost lenses can now be 3D printed and used for a number of purposes including customised contact lenses for correcting distorted vision or turning iPhones into microscopes for disease diagnosis. Developed by a team at Northwestern University, the customised optical component is 5mm in height and 5mm in diameter and can be 3D printed in about four hours. The customised lens was attached to an iPhone 6s and was able to take high-quality detailed images of a sunset, a moth’s wing and a spot on a weevil’s elyta.